The Plastics and Chemicals Industries Association (PACIA) is calling on both sides of the government to address the issues in the gas market and red tape in the industry. In a statement released today PACIA says action is urgently needed in the national interest. 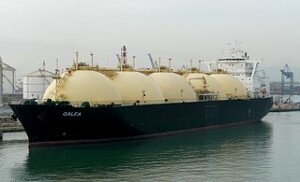 Tackling the issue of the gas market first PACIA said there should be a policy in place which ensures competitive domestic supply remains adequate while supporting the export of LNG. PACIA Chief Executive Margaret Donnan says Australia is facing a devastating “gas cliff” in three years time as companies in the chemicals and plastics industry have a hard time negotiating access to long term and competitively priced natural gas supplies beyond 2016. She cites data from the National Institute of Economic and Industry Research which has found that for every dollar of gas exported the country gives up $21-24 in domestic industrial production. “What that really means is that Australia gives up $255 million in lost industrial output for every $12 million gained in export output. By any measure this is just plain wrong – Australia loses out on jobs and diversified, high end manufacturing,” says Ms. Donnan. However PACIA makes it clear that they are not proposing a reservation of gas supply for the domestic market but rather they are recommending tax incentives as sustainable mechanisms to ensure adequate gas supply. Another priority which the government needs to deal with is the regulatory reforms in the industry. According to Ms. Donnan majority of the reforms suggested by the Productivity Commission to COAG in 2008 still have not been implemented. “The inconsistencies and complexities in the existing state and federal regulations create unnecessary costs to companies, which must complete on a global market” Ms. Donnan said. Aside from that Ms. Donnan says the National Industrial Chemicals Notification and Assessment Scheme (NICNAS) needs to clearly define its institutional roles and responsibilities. “We urgently need to streamline the introduction and regulation of newer, better, safer chemicals, products and technologies by accepting the outcomes of assessments of chemicals made by respected overseas regulators, including those in Canada, the EU and the US,” she said. The recommendations for the gas market and regulatory reforms are detailed in the Strategic Industry Roadmap which PACIA launched in June. The Roadmap also points the need to align the industry’s R&D capacity with emerging “megatrends” and make Australia more attractive to “footloose” capital investments. In June Ms. Donnan said, the Strategic Roadmap for the chemicals and plastics industry will help achieve the vision of a vibrant and sustainable industry in Australia, providing the building blocks of a modern economy and central to the country’s economic, environmental and social wellbeing.